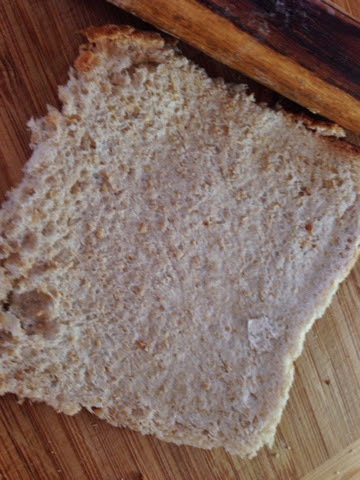 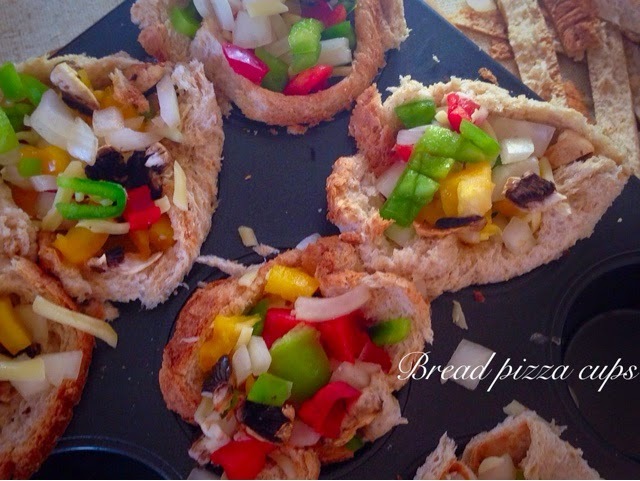 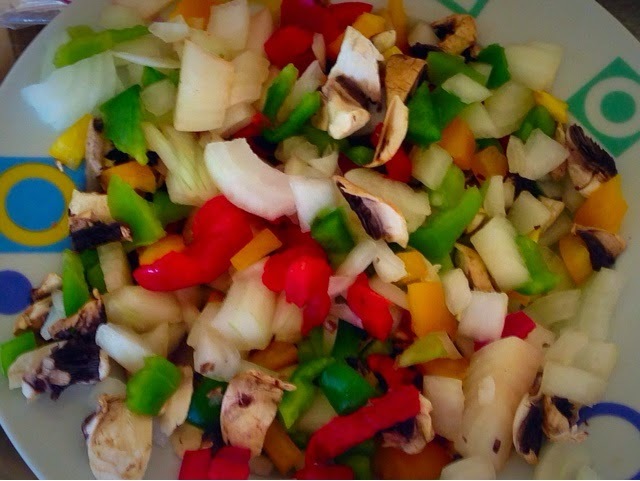 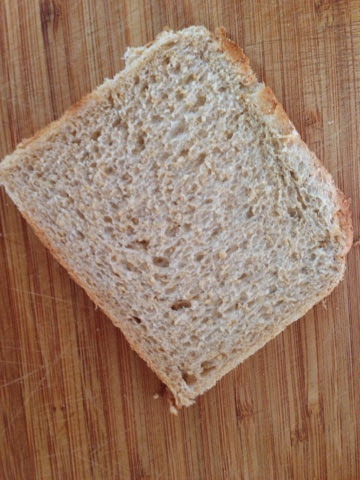 Easy peasy tasty healthy and hasselfree..when you want to have pizza but did not make dough. 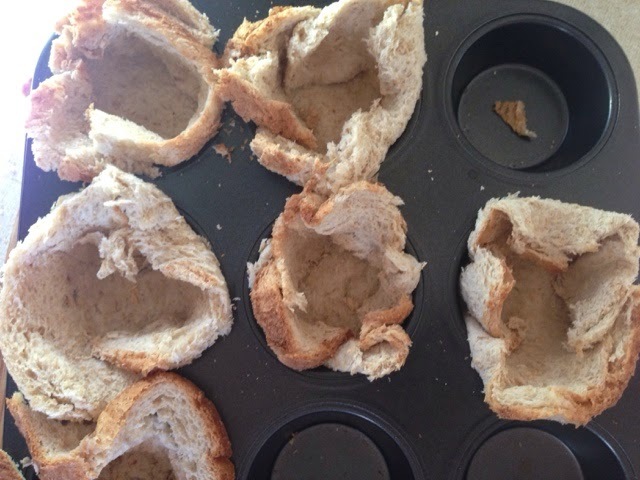 put in oven for 7 mins. 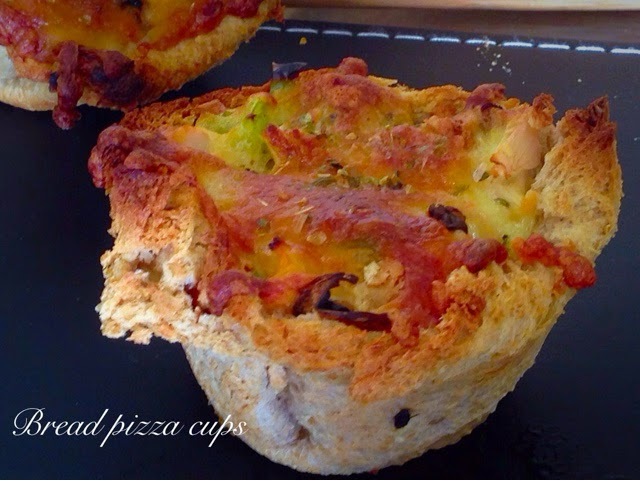 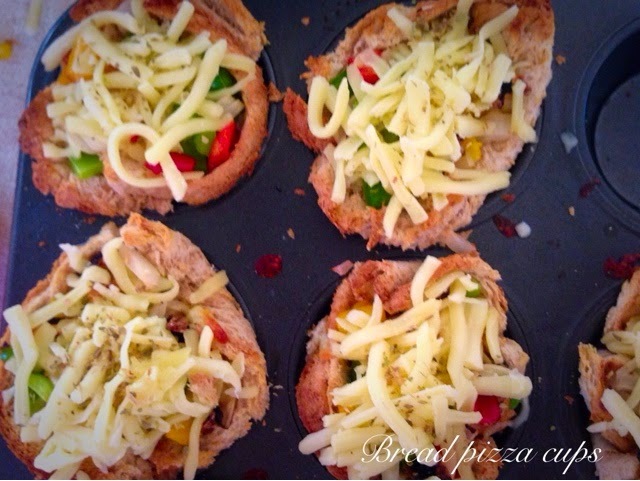 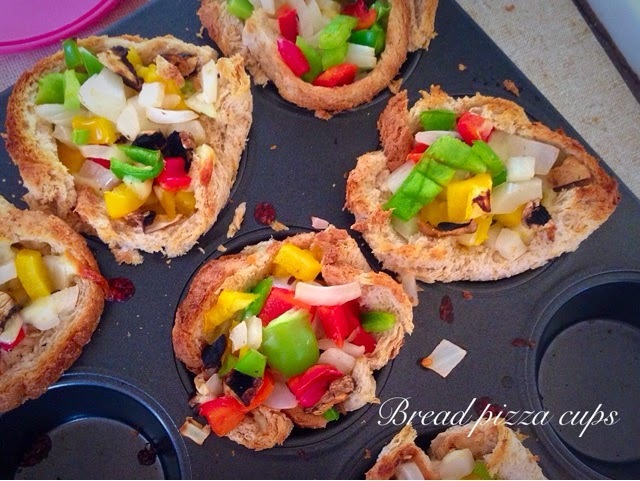 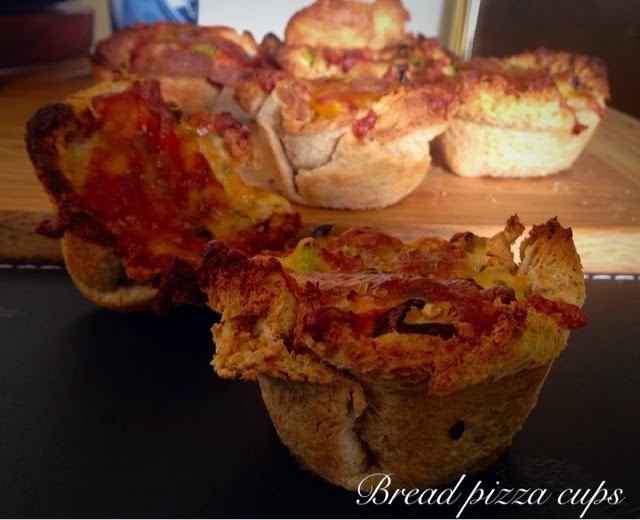 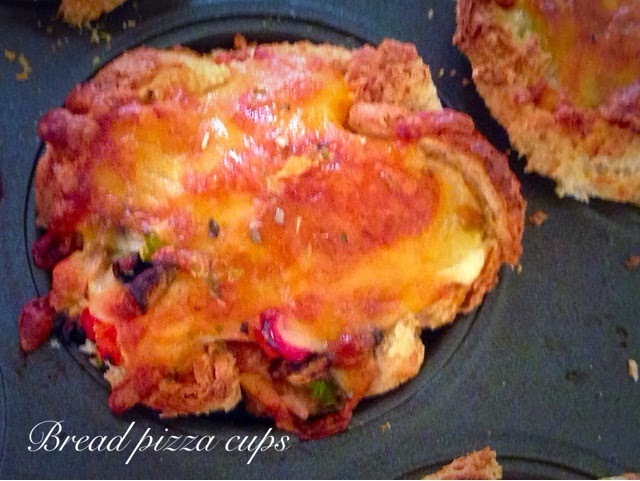 Your bread pizza cups are ready.